Ross meets all your fabrication needs. Known worldwide for superior quality workmanship, Ross offers a combination of engineering and fabrication resources that few companies can match. 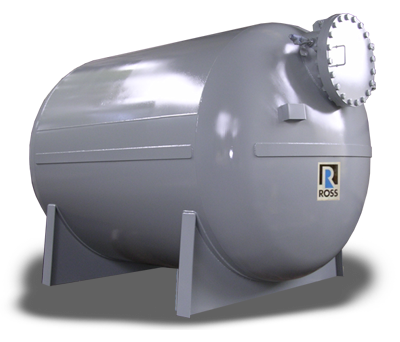 Our plants Ross Engineering and Ross Metal Fabricators are two of the best-equipped custom fabricators of storage tanks, pressure vessels and reactors in North America. We accept a wide range of fabrication projects for almost any use, application or environment. State-of-the-art machining capabilities and design departments at each of our fabrication plants allow us to provide flexible service and air-tight quality assurance. Our fabrication plants are ASME Code-certified and can provide the ASME Stamp when required. We build pressure vessels that can hold up to 3000 psi internal pressure. We regularly work with a broad range of materials, including carbon steel, 316 and 304 stainless steel, Hastelloy, aluminum, Carpenter Alloy 20 and Inconel. For jobs of virtually any size and complexity, we can deliver exactly the support you need at extremely competitive prices.